With attention focused on the rapid rise of China and its increasing influence in the South Asian neighborhood, it would be easy to overlook the increasingly engaged role that Japan is playing in the same region. The fact that Japan is taking notice of the changing geopolitical realities of the world is evidenced from the changes it is making in its defense outlook along with the economic engagement of Japan with major South Asian nations. 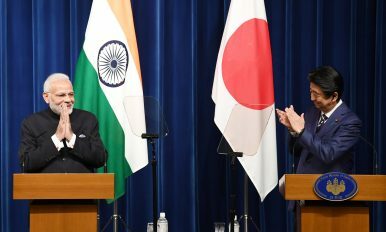 Japan already has strong ties with India and is increasing its engagement with countries like Bangladesh, Nepal, and Sri Lanka. Japan enjoys a largely positive image in Bangladesh with millions of dollars of direct invest and hundreds of Japanese nationals residing in Bangladesh. The Matarbari deep sea port is being developed by a Japanese consortium and will ease the pressure on Chittagong port. The important geographical location of the port and rising economic potential of Bangladesh prompted Japan to invest in the operation, which is sure to yield long-term benefits. To date, Japan has been the largest donor to Bangladesh with almost $1.8 billion given in loan support in 2018. The United Nations Strategic Review of 2017 reclassified Afghanistan from a post-conflict state to an active conflict state. As we enter 2019, the conflict not only remains active, but rather it is worsening. In the past year, there have been an additional 550,000 civilians displaced and 3.3 million people pushed past emergency levels of food insecurity. Another 6.3 million people need some form of humanitarian and protection assistance. The battlefield has been less favorable to the Afghan forces who have already absorbed 46,000 casualties. Continuing into 2019, the weakening security situation, political stalemate, and tense ties between the United States and Afghanistan’s regional neighbors will act as stumbling blocks to any attempts to bring an end to the conflict. From the very beginning the Afghan war has been about expectations management – why is the US there and what does it intend to achieve and what is the end state and a theory of victory? Nobody expected the United States and its NATO allies to turn Afghanistan into another Switzerland nor did the Afghans and international community foresee the prevailing political deadlock and military stalemate. Increasingly - the Afghan war has become a war of dignity for the US army and its NATO allies. A defeat in the hands of a few AK47 wielding ragtag force calling themselves, the Taliban, with safe havens across the border in Pakistan will only refresh the memories of Vietnam in the Pentagon and the broader security establishment in the United States. United States and its NATO allies cannot afford the stain of another Vietnam on their track record especially so when their Russian counterparts, albeit with questionable military tactics, are winning the war in Syria against a more complex enemy. Though, every liberating army becomes an occupation force after a short period of time in the eyes of local population especially in Afghanistan, if it does not deliver a bare minimum, on its originally stated mission objectives. The problem has been that the US and NATO forces kept jumping from one mission statement to another, from one NATO summit to another, promising consolidation of gains and defeating the Taliban and their terrorist allies to no avail. Every US four star General when assuming charge of the multinational forces in Afghanistan called for a mission review, tweaked a few things, presented a report to US Department of Defense asked for more resources and political support, assured NATO allies in various NATO forums of success around the corner but went out of the door leaving a more unstable Afghanistan behind. Here we are eighteen years later with a resurgent Taliban and US/NATO achievements not only not consolidated but more fragile than ever and the Afghan state weaker with an unusual President in the White House, a growing war fatigue in the west and a divided Washington over the fate of its military engagement in the country. While there is no clear winner from the US-China trade tensions, the way in which the negotiations between the US and China are shaping up does not bode well for the European Union (EU). If China were finally to massively increase its imports from the US to buy back its future, it needs to substitute imports from other parts of the world, leaving missed opportunities borne by US allies, especially the European Union. Further, should China offer the concession that the US has requested in terms of banning import tariffs for some previously targeted sectors, this can only be another bad news for those sectors in Europe, except for the parts of the value chain that are produced in the US and exported to China. As such, we should expect a trade diversion away from Europe and in favour of the US. Within this context, European exporters would find it hard to benefit from filling the gap left by either the American or Chinese exporters. As most of the benefits of a US-led trade war for Europe would have come from the Chinese market and not so much the US one due to the sectoral similarities of US and EU exports into China, the key European beneficiaries that were supposed to replace US exports: car manufacturers and aircraft producers (by substituting US exports into China in the event of higher tariffs) shift to be the losers in a quick deal between China and the US is reached. A 90-day trade truce between China and the United States is scheduled to end March 1. Even if the two economic powers agree to extend the truce or settle their trade differences, the increasingly complex nature of their bilateral relations will remain. Washington will also continue its various offensives against Beijing by taking measures to restrict exports, protect core technologies and challenge China in Taiwan and the South China Sea. The ‘China shock’ has not been as bad as Donald Trump thinks Growth in service sector jobs belies the president’s vision of American ‘carnage’ GILLIAN TETT Add to myFT While so-called manufacturing jobs have shrivelled, this does not capture what has happened to 'manufacturing firms' © Bloomberg Share on Twitter (opens new window) Share on Facebook (opens new window) Share on LinkedIn (opens new window) Save Save to myFT Gillian Tett JANUARY 10, 2019 Print this page90 If you were to ask most ordinary American voters what has happened to their country’s manufacturers in recent years, they might howl with horror or mutter about “carnage”. After all, Donald Trump swept to power alleging that Chinese competitors have “killed” American factories and jobs. Hence the simmering US-China trade war, and this week’s high-stake talks in Beijing. At the same time, aside from relatively minor forays into the South and East China Seas, China has avoided significant involvement in the troubles roiling in the rest of Eurasia. There is a gap between what is generally expected of China and what China actually does. To understand what China's actual national strategy is, it is helpful to follow the logic inherent in the following five maps. This post was originally written in January 2016. China is pushing ahead with ambitious plans for its nuclear industry, including developing cleaner and safer next-generation technology. A particular focus is a plan to develop the world’s first large-scale thorium-powered, molten-salt reactors – which could generate less radioactive waste and help reduce the reliance on fossil fuels to reduce the world’s energy needs – by 2020. The head of one of the country’s research programmes said Chinese researchers had mastered the technology in laboratories and now aimed to be the first in the world to make it commercially viable. Cyber relations between China and the United States have always been an integral part of the bilateral relationship. As debate on whether the two countries are entering a new Cold War intensifies, similar concerns about their cyber relations are arising: are the two destined for rivalry in the cybersphere? If so, how can cyber conflict be prevented or limited? Despite some differences in cyberspace, convergent interests have generally been greater than divergent ones between the largest (China) and the most advanced (the United States) cyber powers. Both are tempting targets for malicious actors and vulnerable to destructive cyber attacks. So both have vested interests in fighting against cyber crimes, countering cyberterrorism and promoting cyber norms. These overlapping interests facilitated the successful completion and release of United Nations Group of Government Experts (UN GGE) consensus reports in 2013 and 2015. Rising tensions between the United States and China was one of the biggest stories of 2018. That rift promises to dominate global headlines again in 2019. Apple CEO Tim Cook cited it this week as one of the reason’s for Apple’s problems. Trump and Xi will agree on a trade deal that forestalls further tariffs—but the accord will neither eliminate China’s trade surplus with the U.S. nor put an end to the trade war. The two sides are actively engaged in negotiating terms of a settlement. A final deal may well include substantial concessions from Beijing. Even so, the trade math hasn’t changed. There’s virtually no way China can buy enough American soybeans, jets, or natural gas to achieve Trump’s goal of reducing the Chinese surplus to zero. And it remains unlikely Beijing will commit to specific verifiable targets for measuring China’s performance in protecting U.S. intellectual property rights. Late one Wednesday in March 2015, an alarm sounded in the offices of GitHub, a San Francisco–based software firm. The company’s offices exemplified the kind of Scandinavia-meets-soullessness style that has spread out from Silicon Valley to take over modern workplaces: exposed wood, open spaces, and lots of natural light. Most employees were preparing to leave, if they hadn’t already. Outside, the sun had started to set and it was balmy and clear. Alarms weren’t uncommon at GitHub. The company claims to maintain the largest repository of computer code in the world. It had some 14 million users at the time, and prides itself on maintaining its service and staying online. GitHub’s core product is a set of editing tools that allow large numbers of programmers to collaborate on software and keep track of changes as bugs are fixed. In October 2018, Microsoft would buy it for $7.5 billion. Will Xi Jinping Be China’s President For Life? Xu Zhangrun, a law professor at Tsinghua University in Beijing, made waves among Chinese academics and China-watchers in July with a published essay denouncing President Xi Jinping’s hard-line policies. The essay has been cited in numerous Western media outlets as a “rare rebuke” of Xi. The incident and other rumors of internal party dissent led Richard McGregor, a senior fellow at the Lowy Institute, to wonder whether Xi has “passed his peak.” The pushback among elites, which McGregor characterizes so far as “whisperings,” have mainly been concerned with the Mao-like cult of personality surrounding Xi, who has amassed power unseen in China since Mao Zedong. WASHINGTON, DC – The unfolding geopolitical contest between China and the United States has been described by many as a new cold war. If it ever becomes a hot one, the flash point could be Taiwan, owing in large part to Chinese policy toward the island. China’s government suspended diplomatic contact with Taiwan in June 2016, because the pro-independence Democratic Progressive Party (DPP), which had just returned to power, refused to recognize the so-called 1992 Consensus, the political basis for the One China principle. Since then, however, Taiwanese President Tsai Ing-wen has pursued a moderate policy, disappointing hardline DPP supporters. That is not good enough for China, which has continued to tighten the screws on Taiwan. For example, it persuaded five other countries to follow it in severing diplomatic ties, reducing the number of countries that maintain formal relations with the island to just 17. China has also taken steps to stifle tourism from the mainland: whereas nearly 4.2 million mainland-Chinese tourists visited Taiwan in 2015, when the pro-Beijing Kuomintang government was in power, the total fell to just 2.73 million in 2017. How China could dominate science Should the world worry? Today the country that the May Fourth students helped shape is more than ever consumed by the pursuit of national greatness. China’s landing of a spacecraft on the far side of the Moon on January 3rd, a first for any country, was a mark of its soaring ambition. But today’s leaders reject the idea that Mr Science belongs in the company of Mr Democracy. On the contrary, President Xi Jinping is counting on being able to harness leading-edge research even as the Communist Party tightens its stranglehold on politics. Amid the growing rivalry between China and America, many in the West fear that he will succeed. There is no doubting Mr Xi’s determination. Modern science depends on money, institutions and oodles of brainpower. 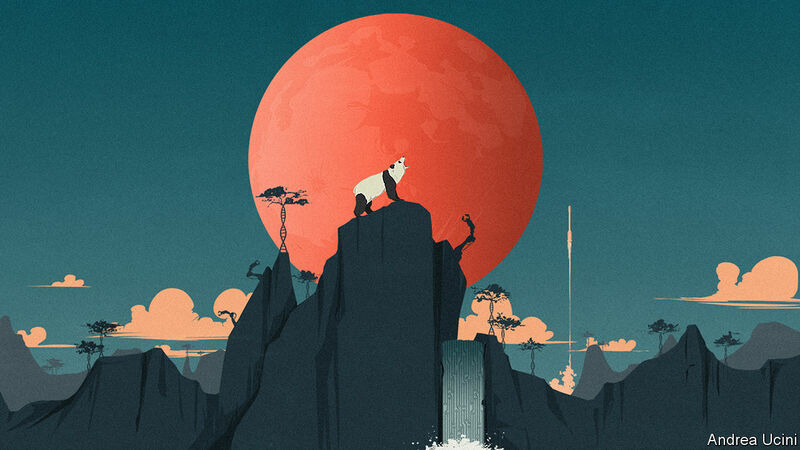 Partly because its government can marshal all three, China is hurtling up the rankings of scientific achievement, as our investigations show (see article). It has spent many billions of dollars on machines to detect dark matter and neutrinos, and on institutes galore that delve into everything from genomics and quantum communications to renewable energy and advanced materials. An analysis of 17.2m papers in 2013-18, by Nikkei, a Japanese publisher, and Elsevier, a scientific publisher, found that more came from China than from any other country in 23 of the 30 busiest fields, such as sodium-ion batteries and neuron-activation analysis. The quality of American research has remained higher, but China has been catching up, accounting for 11% of the most influential papers in 2014-16. The Standing Committee of the Politburo held a meeting on Monday to examine to a series of work reports. The process of the PSC reviewing work reports from this wide a range of actors began in 2015. The statement issued after the meeting provides a glimpse into the leadership’s thought process. 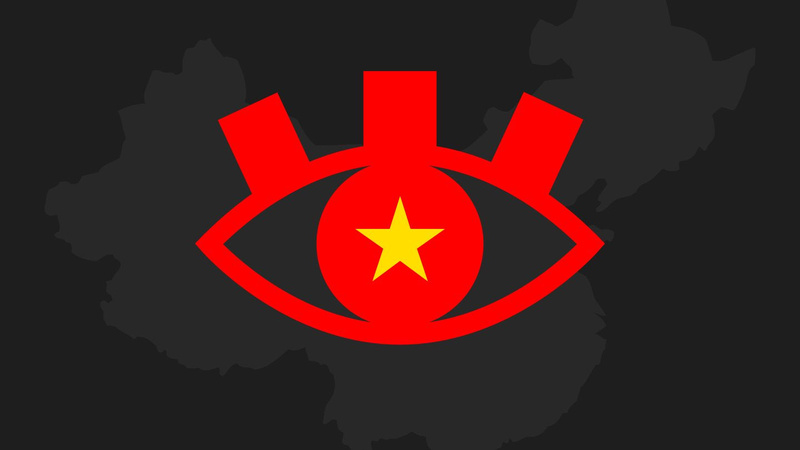 It described the international situation as “complex and grave” and called on “leading Party members’ groups” within key bodies like the NPC, CPPCC, SPC and SPC to “closely follow the CPC Central Committee with Xi at the core in terms of thinking, political orientation and action." A few other noteworthy points from the statement were the emphasis on party discipline, the eight-point decision on improving Party and government conduct and “fighting against any practice of formalities for formalities’ sake and bureaucratism.” My purpose in emphasising these isn’t to state that this is unusual. Rather, it’s a reminder that translating central policy into local action continues to remain a challenge. A U.S. defense official says no American troops have withdrawn yet from Syria, but some military cargo has been pulled out. The official said the movement of equipment is part of what the military calls the start of a deliberate withdrawal from Syria, where about 2,000 troops have been working with a coalition of Syrian Kurdish and Arab fighters to defeat the remnants of the Islamic State group. The official spoke on condition of anonymity to discuss details that have not yet been publicly announced. The official provided no numbers, but said the equipment withdrawal is under way and that an unspecified number of additional U.S. troops have been brought into Syria to assist with the withdrawal process. These include troops to provide additional security. Moroccan banks' expansion across Africa will allow Moroccan businesses to invest and integrate better into the continent, gaining lucrative market access. Morocco's economic integration with African countries — including current negotiations for a free trade agreement — will, in turn, attract foreign manufacturers to increase investments in Morocco. Morocco will need to address its high level of domestic unemployment to ensure stability. A new source of foreign direct investment is emerging in many sub-Saharan African nations: the kingdom of Morocco, situated right on the continent itself. Owing in part to quick and decisive reforms in 2011, Morocco largely avoided the Arab Spring turbulence that shook other parts of the Arab world in North Africa and the Middle East. And in recent years, solid growth in the manufacturing, tourism and energy sectors, as well as a rapidly expanding financial sector, has fueled the development of a very strong Moroccan economy. As long-dominant European banks gradually disappear from Africa, Morocco is using its newfound financial muscle to project power across the continent in the hopes of becoming a wealthier and more internationally influential country, but it still needs to address problems at home if it wants to remain one of the most stable states in Africa. On December 19, 2018, United States President Donald Trump ordered the withdraw of U.S. military personnel from Syria. On December 21, 2018, Trump also ordered the withdraw of approximately half of the 14,000 military personnel currently deployed to Afghanistan. The optimist in me hopes that Trump's decisions mark the beginning of the end of 17 years of wars that pursued unachievable political objectives, were conducted in a manner counter to the U.S. preference for and competency in state-on-state warfare, and were an unjust expenditure of lives and treasure. The pessimist in me wonders if Trump will follow through on these decisions. As I am prone to do, and in order to be as useful to the reader as possible, I have distilled all my thoughts related to counterinsurgency in the five rules below. Please note that these are not guidlines, not principles, but rules. As such, adherence to these rules is not optional, unless you desire to fail. My greatest hope is that the U.S. does not engage in counterinsurgency ever again and thus my five rules are never needed. My long experience tells me that the U.S. will absolutely engage in counterinsurgency again and I hope my five rules below can be of value whenever that time comes. Referendums are a compelling tool to engage the public when it has lost faith in the ability of political institutions to uphold a social contract. It is little wonder, then, that referendums have seen a resurgence alongside the rise of populism in parts of the world. Referendums come with considerable risk: Power-hungry leaders can use them to consolidate their authority while well-intentioned democratic leaders can see their moves spectacularly backfire when nuance is lost in popular debate. Even as the chaos of Brexit is seen as a cautionary tale, a recent ruling by the European Court of Justice may have the effect of encouraging more referendums by EU states looking to bargain on matters of national sovereignty. I always enjoy visiting the Russian International Affairs Council (RIAC), and most recently read “Entering 2019: Challenges and Opportunities,” by President Igor Ivanov of RIAC, himself also former Minister of Foreign Affairs of the Russian Federation (1998–2004). I agree with everything he writes, particularly the incapacity of the United Nations “system,” the importance of national sovereignty as a building block for peace, and the lack of any sustainable foundation for global management. 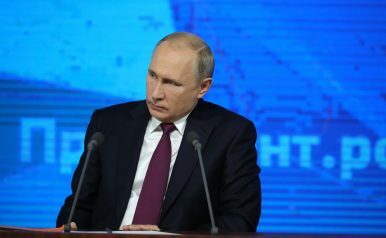 What he does not do, perhaps deliberately given that President Vladimir Putin is now and will always be the senior intelligence officer in Russia, is address the fundamental fact that it is the failure of intelligence in the USA and Russia particularly, in China and Iran with confidence, and in Western Europe with malice aforethought – there intelligence is about chaos and false flag operations and facilitating the smuggling of drugs, guns, gold, cash and migrants including small children, all for profit by the few – that has left the ships of state adrift at sea and often high on the rocks, their keels broken. The new year marked the beginning of a new era for Latin America’s largest country. Jair Bolsonaro, the far-right winner of Brazil’s presidential election, assumed office amid a remarkable swirl of contrasting expectations. 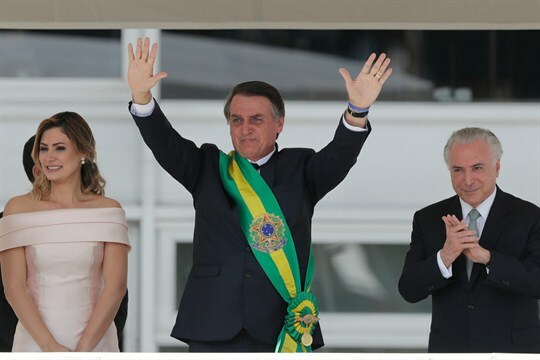 While the former army captain’s incendiary declarations during the election campaign last fall sparked fears among millions of Brazilians and others abroad, a less noticed phenomenon took shape in the weeks leading up to his inauguration on Jan. 1: Brazilians, by large majorities, are optimistic about his tenure. In two surveys last month, Brazilian pollsters found that a stunning 75 percent of respondents approved of Bolsonaro, and two-thirds expected the new administration to bring about a turnaround in Brazil’s economic fortunes. That is notable, and a bit of a head-scratcher, considering that for years the most popular politician in the country has been former President Luiz Inacio Lula da Silva, a leftist leader who made his name as a union organizer and a campaigner for social justice, essentially embracing policies that Bolsonaro diametrically opposes. Since the mid-2000s, democracy has regressed in nearly every part of the world. The global monitoring organization Freedom House has recorded declines in global freedom for 12 years in a row. In Thailand, Bangladesh and Turkey, democracies have all but collapsed. Countries where democracy seemed to be making gains in the early 2010s, like Myanmar and Cambodia, have slid backwards, with Cambodia reverting to one-party rule. 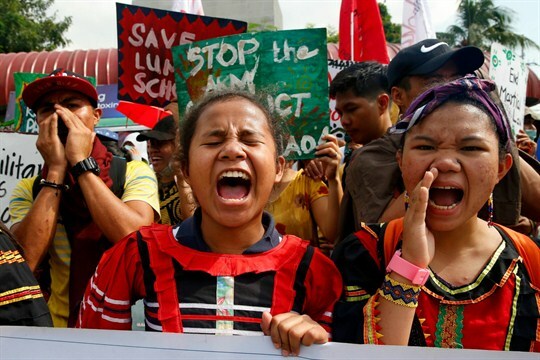 Some states where democracy was believed to be well-rooted, such as Poland and the Philippines, have regressed under populists with authoritarian tendencies. Their democracies have not fully collapsed but are in grave danger, as leaders pack courts, jettison judges and threaten the media. In a recent article for The Washington Post, I outlined how hard it will be for these countries to rebuild free political systems. As a recent study by the Tony Blair Institute for Global Change found, elected populists tend to hold office, on average, more than twice as long as elected non-populist leaders, giving them considerable time to undermine democracy. The same study found that some populist leaders often expand executive power dramatically and foster widespread corruption. During last Saturday’s Yellow Vest protests in Paris, a group of toughs used a hijacked construction vehicle to break into the courtyard of the building where the government spokesman has his office. Benjamin Griveaux, the spokesman, was hustled out amid the threat of violence. The incident shocked people across France. The Gilets Jaunes protests that have attracted wide supportthroughout the country seemed this time to have crossed a line. Officials including President Emmanuel Macron denounced the violence as “an assault on the Republic,” an overused cliché that needlessly dramatizestensions. Still, a prominent Yellow Vest leader a few months ago did raise the idea of trying to break into the Elysée Palace. This latest twist in the Yellow Vest plot made me think of a conversation I had in the Elysée some 30 years ago, when I was writing a book on President Francois Mitterrand. I was interviewing Hubert Vedrine, at the time Mitterrand’s chief of staff. The premier conference of the consumer electronics industry, CES provides some of the world's largest firms with a chance to debut new products and showcase conceptual and experimental products on the bleeding edge. More than 50 years after its founding, the event formerly known as the Consumer Electronics Show brings thousands of people to Las Vegas each year. Chinese and U.S. companies are increasingly competing in the realm of consumer electronics, but many European countries are becoming concerned about the privacy implications that new technologies present. As technology continues to advance and open up new possibilities, the implications for security, transport, privacy and banking are shaping and are being shaped by the world of geopolitics. What they fail to mention is our willingness to exchange privacy for convenience didn’t start with the advent of virtual assistants. It started in the early 2000s, when people—in return for having access to Google products and seeing more relevant ads—allowed Google to have all their data. Today, Google provides marketers like me with so much of your personal data that we can infer more about you from it than from any camera or microphone. There have never been more opportunities for marketers like me to exploit your data. Today, 40,000 Google search queries are conducted every second. That’s 3.5 billion searches per day, 1.2 trillion searches per year. From redefining talent management by evaluating job candidates on innate and emerging strengths by removing conscious and unconscious biases from hiring decisions as eightfold.ai does today to providing a self-service AI platform that is always learning from analytics as Anodot does, machine learning startups are fascinating to track. International Data Corporation (IDC) forecasts that spending on AI and ML will grow from $12B in 2017 to $57.6B by 2021, attaining a 48% Compound Annual Growth Rate (CAGR). Please see the latest roundup of machine learning forecasts and market estimates, 2018 for more market data on machine learning’s exponential growth. “AI will be a true differentiator for companies in the future. The companies that have mastered it will take off, those who haven’t will dwindle (just like companies choosing to embrace software and the internet early on),” Scott Stephenson, founder and CEO of Deepgram, an automatic speech recognition company, told Crunchbase News in an email. This report is part of "A Blueprint for the Future of AI," a series from the Brookings Institution that analyzes the new challenges and potential policy solutions introduced by artificial intelligence and other emerging technologies. In a 2017 article for Foreign Affairs, Kassia Yanosek and I advanced the hypothesis that the biggest impacts of the information technology (IT) revolution may be felt far outside IT—in the traditional industries of oil, gas, and electricity. That’s because IT was transforming how those industries function. That logic of transformation may be especially profound when looking at a subset of the IT revolution: artificial intelligence (AI). Other essays in this series explain what’s happening with AI and why it is such an important technical revolution. In this essay, I’ll look at how AI might be affecting the supply and demand for energy and the implications of AI for how modern society uses energy: climate change. 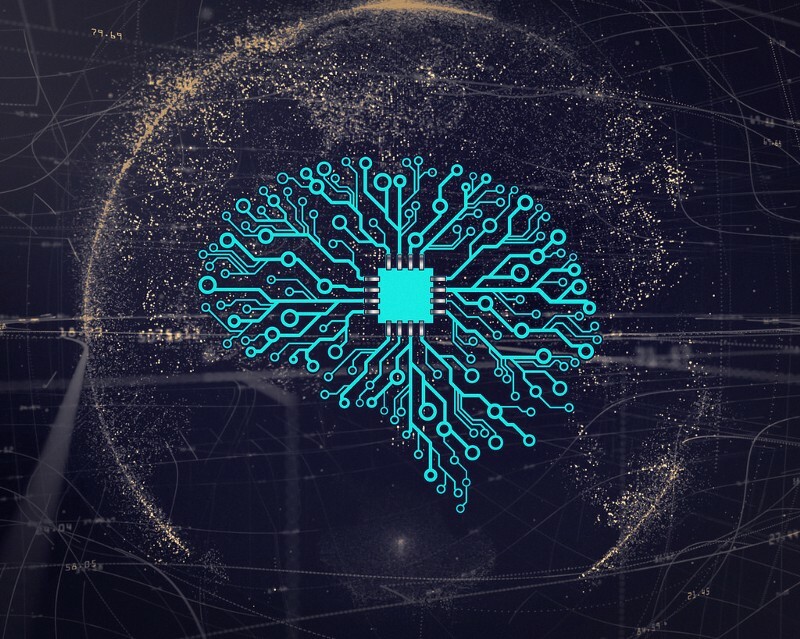 In a nutshell, the message is that AI helps make markets more efficient and easier for analysts and market participants to understand highly complex phenomena—from the behavior of electrical power grids to climate change.